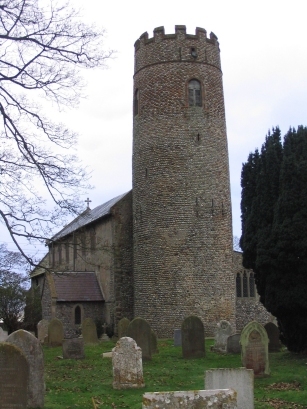 Witton is a small parish located between North Walsham & the North Sea coast. There is no village of Witton as such merely a small group of properties near Witton Bridge. The parish is dominated by the estate of Witton Hall which lies to the west of the church. St Margarets stands in an isolated position alongside a narrow back country lane. 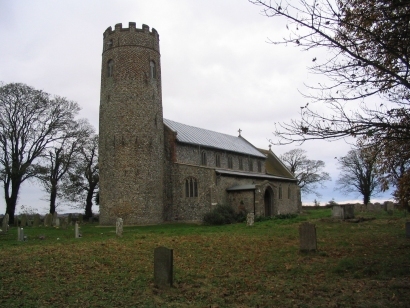 A Saxon round towered church which stands on a low ridge of high ground overlooking the infant river Ant. These records were transcribed from Microfilm MF1371 of the Norfolk Record Office collection. The entries were extremely clear and by and large very legible.